Finally Increase The Response From Your Twitter Followers...AND Get Top Search Engine Rankings By Using This Simple Step-by-Step Twitter System! Twitter is known by many, as a place where you can go and send out 140 character messages, better known as tweets, that tell people what you are doing, at that particular moment. The reason why this is good for business, is because your followers get to know what is happening in your life, on a more personal level. Prospects like to get to know WHO they are buying from, before they turn into a buyer. Thats where this video series comes in. Not only will you learn a system that uses Twitter, and other free third party sites, to get your sites ranked high in Google, but youll also learn how to increase your credibility among your followers, by using a simple legal technique. Whether you are an online or offline business owner, as long as you have a website or landing page, this is a MUST have in your marketing toolbox. This step by step 6 part video series, takes you by the hand and shows you how to use Twitter, to get extremely HIGH rankings in Google and other search engines. 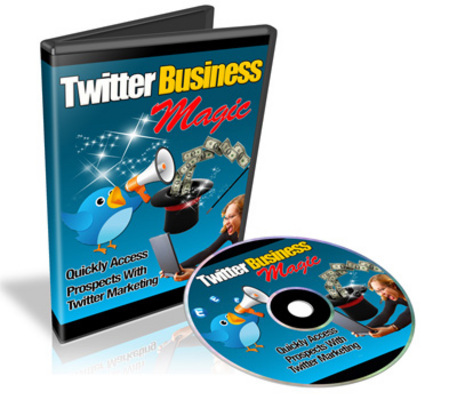 On top of that, you will learn how to increase the responsiveness of your twitter followers, and perform very simple services for offline businesses, that can land you a couple of thousand dollars, and help them get more customers! Its a win-win situation for ALL! In this video, you will be given a brief overview of what will be discussed in this video series. Once you understand that and the tools you need...PLUS the basic concepts (how to get ranked quickly and drive targeted prospects to your landing page)...then, and only then should you move on to the rest of the video series with ease. Best of all, the tools that are being used in this video series are free, saving you money to buy this video series. So, why keyword research? Keyword research happens to be the lifeblood of online marketing and in this video, youll understand why it falls into play. Its the first and most important step. Best of all its easy to understand. Tweeting as you know, is the act of sending a 140 character message through Twitter. But in this video, youll learn how to tweet correctly, with intent to rank high on the search engines. Yes, Content Content Content! Content is definitely key and has an important role in this step by step system. You need it, if you want to build credibility around your website. In this video, you will learn what content you should provide. Dont worry, you dont have to create tons of content, a report, or an ebook. Were talking about just a few pieces of content, that will help show your prospects your expertise. By now, you have created whats needed to get ranked high on the search engines. However, you also need to drive traffic and convert your visitors into either leads, or buyers. We wont go into a lot of conversion details now, because thats a completely different topic, that we will cover in another video series. However, you will learn a few quick and easy marketing techniques, to help boost your SEO rankings, even further, thereby driving even more traffic to your site. So... with that said, grab this video series now and start making even MORE money, by helping build awareness of you and your companys brand, by using this simple step by step Twitter Marketing System. * Videos: 6 part in MP4 format. The Rank Generator - New!